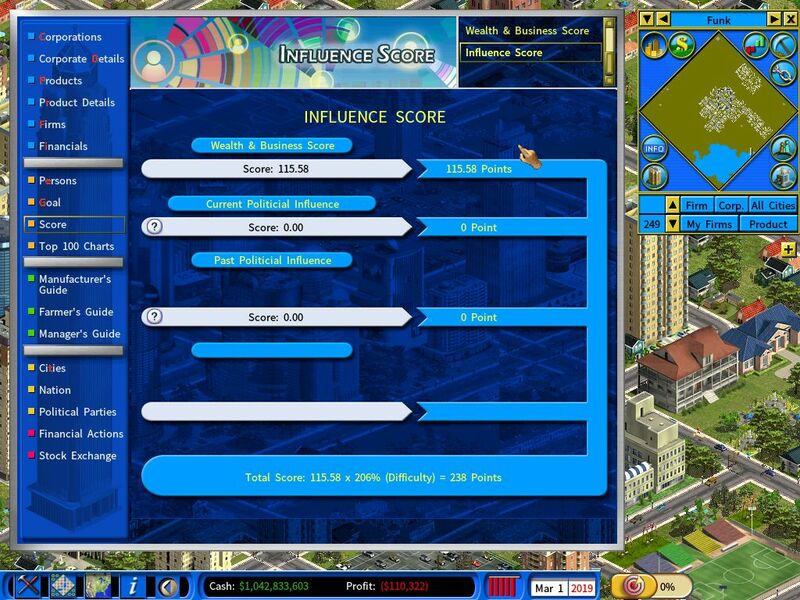 You will see the new Influence Score in the score report when the City Economic Simulation DLC is enabled. It is the resulting score from the Wealth & Business Score report. For each city where you or a member of your political party is the mayor, the city’s population, GDP per capita and the mayor’s approval rating will determine the political influence. If you are the party’s leader, each of your members’ influence value will contribute 50% to yours. Its calculation is similar to the Current Political Influence. It is the accumulation of of all past political influence values x 50%. 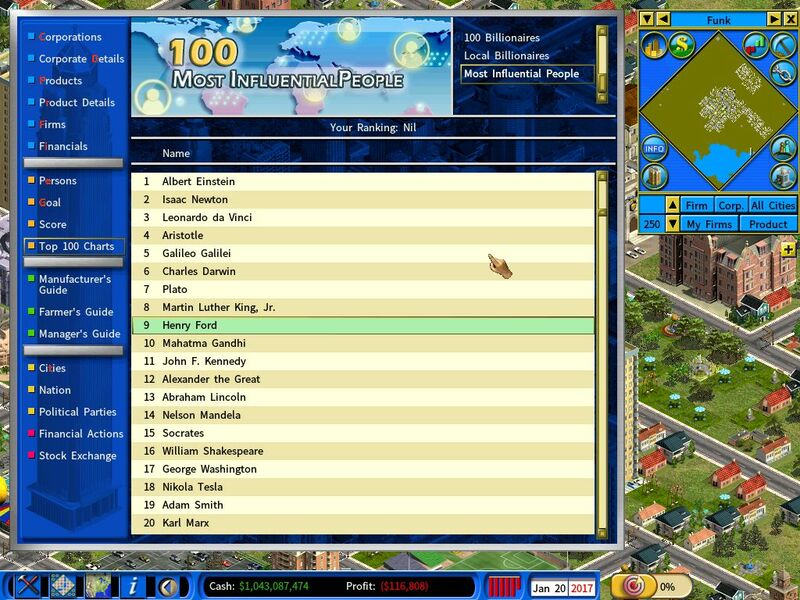 If your Influence Score is high enough, you may receive the honor of getting listed in the 100 Most Influential People chart. In fact, some players may consider this to be the ultimate goal of the game.